Katherine ‘Katy' Washington, who played for the famed Hutcherson Flying Queens and Wayland Baptist College, continued her winning international ways in helping the USA earn its second-straight World Championship gold medal in 1957, and she would also help lead the USA to gold at the 1959 Pan American Games. It was in 1957 that Washington teamed up with future Naismith Basketball Hall of Famers Joan Crawford and Nera White, as well as Alberta Cox. Like Washington, Crawford earned a total of three gold medals playing for her country. While it was White's first and only gold medal, she made it count by earning MVP honors for her stellar play. As for Cox, she returned as a player in 1964 and remained involved internationally, coaching the next two USA World Championship Teams as well as the 1967 USA Pan Ams Team. The U.S. team was originally supposed to be represented by the current national champs, Wayland Baptist College. However, the late October timing of the '57 Worlds didn't mesh with class schedules and instead the U.S. players came from six different programs around the country. Held in Brazil, the schedule adapted for the 1957 tournament is very similar to what's in place today. With the exception of the host country, which received a bye to the final round, the remaining 11 teams were placed into three preliminary round pools and the top two from each pool joined host Brazil in the final round. The U.S. fell to Czechoslovakia by three points in the final game of the first round. It was the Amercans only loss and the United States finished second to earn a berth to the next round. In addition to Brazil, Czechoslovakia and the USA, advancing for the round-robin finals were: Chile, Hungary, Paraguay and the Soviet Union. Opening the final round of competition against Hungary, the U.S. trailed 29-27 at half, but rallied in the second half to take a hard-fought 51-46 decision. Host Brazil was beaten by the Americans 67-44, then the U.S. squad jumped all over Chile early and sailed to a 76-47 victory. In a final round rematch with Czechoslovakia, the U.S. avenged its earlier loss by recording an impressive 61-55 win. The USA's defense limited Paraguay to just eight first half points as the U.S. posted a 36-8 halftime lead and went on to record a 60-40 win to set the stage for its final match against unbeaten Soviet Union. The USA-USSR match-up in 1957 marked the first time the two women's teams faced each other in a major competition, igniting a famed rivalry that would last decades. Both teams entered with identical 5-0 marks as only the record from the medal round counted towards the final standings. The Soviets entered as the favorites, having won the previous four European Championships, and the U.S. knew it was in for a tough battle. The USA women, playing zone defense the entire game, trailed by three, 27-24, at halftime in front of a capacity crowd of 40,000 at Rio de Janeiro's Maracana Stadium. Keeping pace with the Soviets, the U.S. still trailed by three points, 38-35, at the end of the third period, but never gave up in its quest to defend the gold medal. 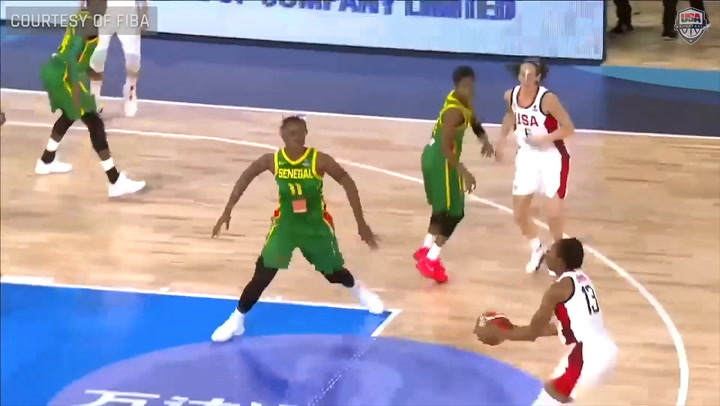 With 13 seconds remaining, the American women broke a 44-44 tie with a free throw that put them in front for good. With just eight seconds remaining it was still a one-point affair, 49-48. In the end the U.S. got another two points as the clock wound down to claim the 1957 World Championship title as White was crowned MVP. Barbara Ann -Bobby" Sipes was the star of the day for the USA, accounting for 18 points. Czechoslovakia, with a 4-2 mark, captured the bronze medal and returned to the podium five more times in World Championship play before the nation's split in the 1990s. Upon returning to the United States, assistant coach Tennie McGhee told the Associated Press, “It was the zone defense adopted by our coach John Head. We used this defense all the way in the last game. The Russians told us they had never seen it before and it kept them under control until we were able to get started. “We expected to win," continued McGhee. “But the press and tournament officials favored the Russians. It made us all the more determined and we really pointed for the final game. 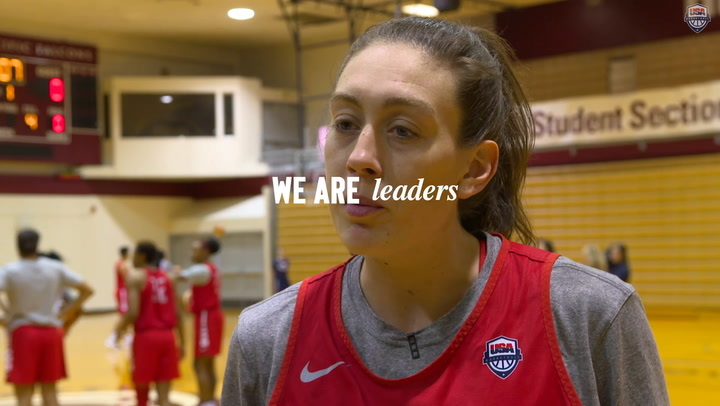 “Just as would be the case for most USA women's World Championship teams, the red, white and blue didn't have much time to train before arriving in Brazil. Our girls never had played together as a unit," said McGhee. 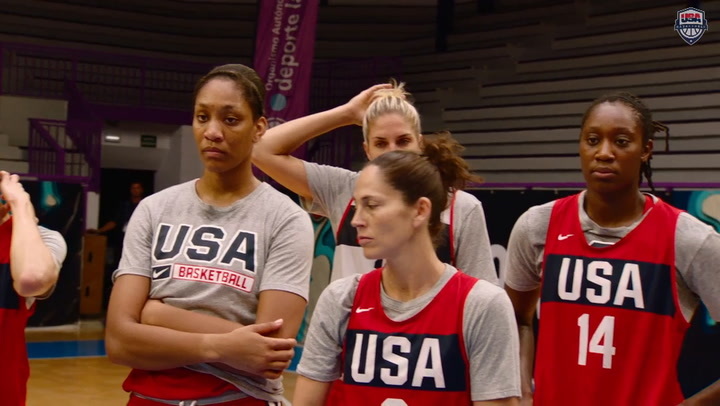 “We only had a few workouts in Rio and then three preliminary games." The win against the Soviets was the last victory for the U.S. against its international and Cold War political rivals until the summer of 1986. USSR went on to claim gold in six of the next seven World Championships (1959, 1964, 1967, 1971, 1975, 1983). The U.S. claimed the '79 gold, but the Soviets boycotted that year due to relations with host South Korea. The Soviets also collected gold in a boycott year as the U.S. chose not to participate in the 1959 World Championship, which was held in Moscow. Thus, the USA's history in the World Championship was born. While Eastern Bloc countries dominated the medal stand and the U.S. was shut out of the medal haul for five straight Worlds (1959-1975), women like Cox, Crawford, Sipes, Washington and White were proof that the United States could be on top of the world and gave future generations a gold standard upon which to aim their sights.